This book explores the importance of soul reveries, psychoanalytic "prayers" and cultivation of psychoanalytic "faith" in Eigen’s work.. 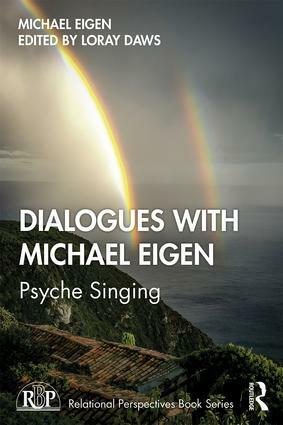 The dialogues lay out Eigen’s privileging of emotions as messengers in need of recognition, as welcoming inner gestures for incubation enabling a deep vitalizing contact of being with oneself and others. Eigen reminds us that struggling with one’s personality remains a life-long task, exposing us to various existential sufferings, agonies, traumas and losses in need of soul confession, if not analytic prayer. Click here for more info, reviews, contents, etc.